But the same article also brings us some welcome good news: there’s an app for that! Five, in fact, are introduced in the Mashable article. 1) DriveOFF for Android, created by eSure insurance. 2) DriveMode by AT&T, for Android and Blackberry. 3) TextBuster for Android. This free app requires the installation of some hardware in your car. 4) DriveScribe for iOS and Android. 5) Canary for iOS and Android. Not all of these are free, but what’s your teen’s safety worth to you? Feldman, Barbara. 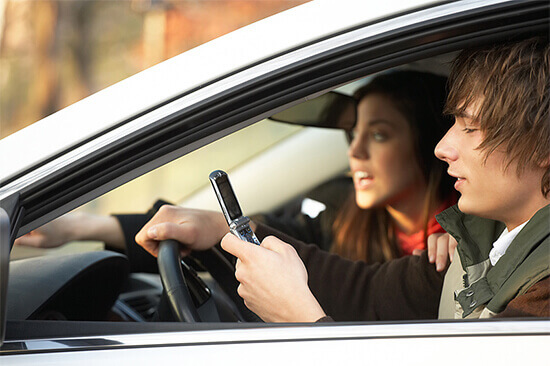 "8 Apps to Stop Your Teen from Texting while Driving." Surfnetkids. Feldman Publishing. 16 May. 2013. Web. 21 Apr. 2019. <https://www.surfnetkids.com/tech/2167/8-apps-to-stop-your-teen-from-texting-while-driving/ >. By Barbara J. Feldman. Originally published May 16, 2013. Last modified November 10, 2013. We would love it if you included our app also. We’d love it if you included our app in the article! !